Are you a man undergoing Testosterone Replacement Therapy but still not feeling optimal? Do you think your Doctor could stand to improve your current treatment? Have you achieved balance between your testosterone and estrogen levels? Don’t really know? At times do you feel moody, irritable, and ‘puffy’ due to water retention? Is your current treatment leaving you feeling depleted or low energy/vigor by day 4 and day 5 of a seven day weekly protocol? If you can answer “YES” to any of these questions, I have the solution for both you and your Doctor. If your Doctor is unwilling to listen to you or refuses to change your current regimen, CHOOSE BETTER options. I am happy to connect you with the amazing concierge physician Dr Brett Osborn or the experienced and knowledgeable doctors of Defy Medical who will treat you via telemedicine virtually anywhere in the US. This book is no BS and is the real deal. I’m in my late forties. I’ve been a few different doctors for male hormones over the last four years. My family MD, in addition to his bustling practice, developed an entire anti-aging division. Unfortunately, his hormone replacement therapy treatments had zero impact on my how I felt after six months of doing exactly what he told me to do. I was then referred to the local hormone replacement “guru” who is a respected endocrinologist. I was under his care for 10 months. Although my labs improved, it did nothing to impact how I felt mentally or physically. I then tried a very well-known and respected out-of-state anti-aging specialist who is touted (to this day) of as one of the top docs in the country. Again, although my lab numbers were good, I didn’t experience the true benefits of hormone replacement therapy. Between the expensive consults, traveling, blood work, dietary review, and supplementation, It was nothing more than a very expensive exercise that yielded no additional results. I was at a loss and went on a mission to find the missing link between my labs and how I felt. Doing a Google search, I found Jay Campbell’s website. His blog had some very interesting unique insights with a no BS delivery. Under a pseudo name, I asked several questions pertaining to my situations. I was hesitant to trust a website and folks I didn’t know. I immediately got some candid responses back. I then reached out and contacted Jay directly after a few more Q&A’s. He was kind enough to spend time with me on the phone. It was clear to me he “got it” and understood what I was going through and why the treatment I was receiving was totally inadequate given my situation. Not only was he incredibly generous with his time, he gave me an advance copy of his book to help me more fully understand what was really going on with me and why. He was putting the final touches on his book. I read it and digested his book very quickly. It resonated with me on a several different levels. As a result, I was ready to give it another go with hormone replacement therapy. He then put me in touch with a doctor in Florida given my particular situation. Unfortunately, the doc’s schedule was booked four months out. Jay checked in with me a few days later and I let him know the situation. He said, “I’m going to take care of this – give me 20 minutes.” No joke, the following week I was in the doc’s office and was put on a program that fit my exact situation. It was completely different than any other protocol I was put on. My testosterone dose was lowered by a fairly large margin, I was given additional medication to help my insulin levels, my thyroid medication was adjusted significantly, and my estrogen levels were managed. I was given guidance on managing my odd ball cortisol levels which was all over the board. Within a few weeks, it was rock and roll time for me mentally and physically. It was the first time in 10 years I felt that good. His program also enabled me to sleep better. Jay was always kind enough to check in with me, followed my lab results, and consulted with my doc to make sure they were properly titrating my medication based not just on my labs, but how I felt. And I feel GREAT after 5 months of being on the doc’s program. I’ve also referred a very close friend who had similar results (with a different docs in a different state – his situation was different from mine). I wish I had his book 9 years ago. 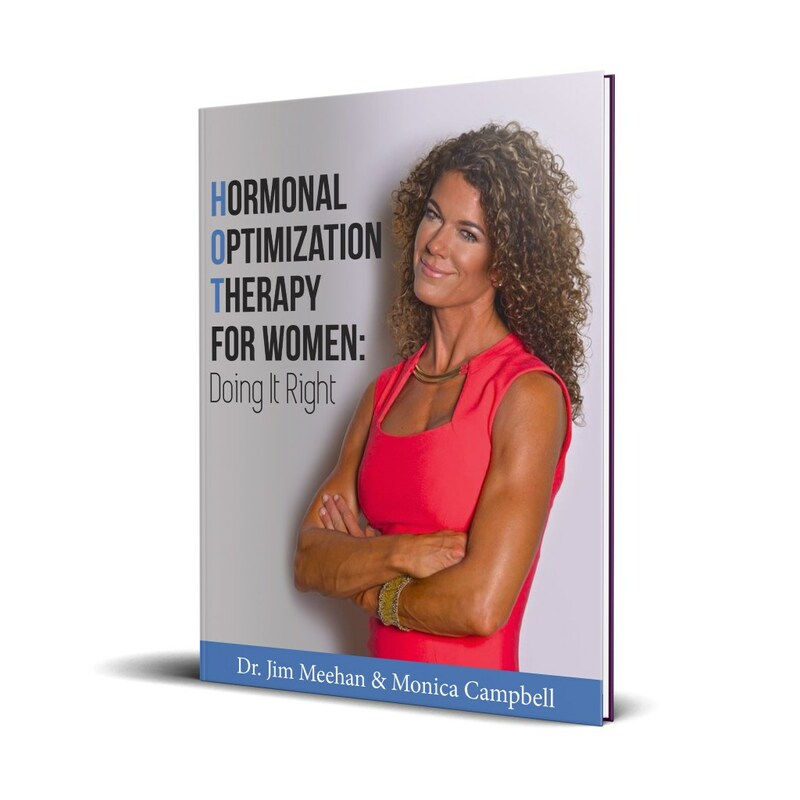 It’s no nonsense, candid, accurate, is a complete resource for hormone replacement therapy. The Definitive Testosterone Replacement Therapy Manual, coupled with Jay’s guidance and connections has truly been a godsend for me. Save yourself a lot of time and money and read his book. A stronger testimonial could not be written regarding the power of the book to optimize your biochemistry and put you on the fast track to a better life. You only have one body right? Why settle for average with your TRT? Choose to optimize your health and GET THE BOOK now!